Welcome to Thieneman Real Estate, LLC! 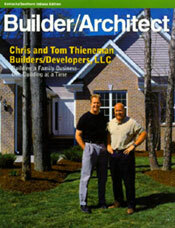 Thieneman is your source for great properties all over Louisville Metro. Let us help you relocate your home, find a new location for your business, or even provide storage space. Check out the latest news about Thieneman Real Estate here. nothing less. At Thieneman, thats the rule, not the exception.